IMWS supports the delivery of education, jobs and training opportunities by working in collaboration with its mainstream providers (LEA, NHS, PCT, Police Authority, and others). In addition, IMWS delivers funded projects that support and enhance the above. IMWS, in order to provide for some income, has paying tenants, who support social causes, offers conference facilities for some 3-1500 individuals on a daily basis, has a Sports Hall and extensive off – road parking facilities supported by CCTV. IMWS moved to its present property some 8-9 years ago, which had fallen into disrepair, it is now transformed into the centre described above. This move allowed IMWS to grow rapidly over this period and is now a leader organisation in a prime position to disseminate its good practice to a wider audience. IMWS is currently undertaking the IIP process in collaboration with LSCWY, showing its commitment to the developmental process. 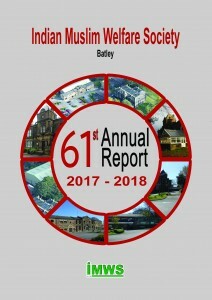 IMWS is geographically placed in the Batley region of West Yorkshire, serving Indian, in the main, UK Asian, Pakistani, White, and Bangladeshi communities within the Batley, Dewsbury, Ravensthorpe and Heckmondwike areas. IMWS, being at the forefront in the promotion of diversity, is often asked its views on Faith, Racial and cultural issues at both Local, Regional and National level. IMWS employs some 16 staff whose make-up, reflect the diversity of its community, to whom the Board entrust with the day to day running of the centre. IMWS clearly demonstrates that the quality of life for its local people has been significantly enhanced and improved by the work that has and continues to be delivered on their behalf.